The Beyond Repeal and Replace series is an AEI project that aims to provide a deeper, more fundamental foundation for policymakers considering a different path to real health reform. 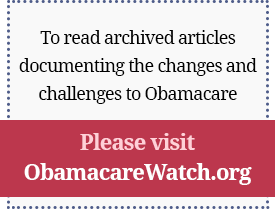 With a Republican majority in the House and the prospective Republican presidential nominee committed to repealing PPACA, health policy analysts and academics present their distinct and detailed proposals to remedy old problems and undo newer ones. Among the proposals discussed are defined contribution financing, informed competition, health insurance regulation, a medical banking model for health information technology, and competition policy reform.